Insights to guide your practice. Epic, Cerner, eClinicalWorks, NextGen and MEDITECH have been named the most widely used EHRs by physicians, according to Medscape’s 2016 EHR Report. Epic continues to dominate the EHR market for hospitals and health systems at 28% representing 48% of users—more than three times as many as Cerner (13%), its next largest competitor. Missing from this year’s list is Allscripts, which dropped out of the top five altogether driven by its 2012 decision to drop its small practice software, My Way. The Medscape 2016 EHR Report surveyed 15,285 physicians across over 25 specialties.on their use of EHRs rating their systems in terms of overall ease of use, connectivity and usefulness as a clinical tool. The survey revealed The Veterans Affairs Computerized Patient Record System (VA-CPRS) received the top rating while the Department of Defense (DoD) EHR system AHLTA received the lowest rating. 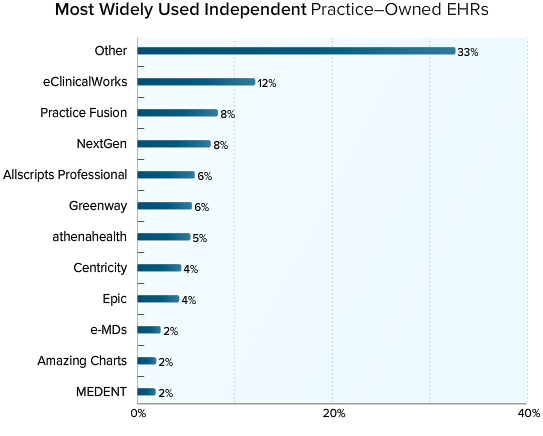 For independent practices with their own EHRs, eClinicalWorks was rated first in usage (12%), and Practice Fusion and NextGen tied for second place, with 8% each. More than a third (34%) use “other systems,” which included a few systems that were frequently mentioned: EMA/Modernizing Medicine (1.6%), a cloud-based specialty-specific system; Office Practicum (1.2%); and Aprima (0.8%). 56% of respondents said that EHRs improve documentation, and just under a third believe that they improve patient service (30%), clinical operations (32%), and bill collections (31%). On the flip side, 21% of physicians said that EHRs have made the documentation process worse, and 25% cited detriments to patient service and clinical operations. Only 7% said they make the collection process worse. No EHR had an overall score of 4 or higher. In fact, the next top four were barely above average: Epic was second at 3.5, followed by athenahealth, eClinicalWorks, and Cerner (tied at 3.1). The two EHRs with the highest satisfaction rating (tied at 3.8) were Practice Fusion and Amazing Charts (used mostly in independent practices). VA-CPRS came in third. 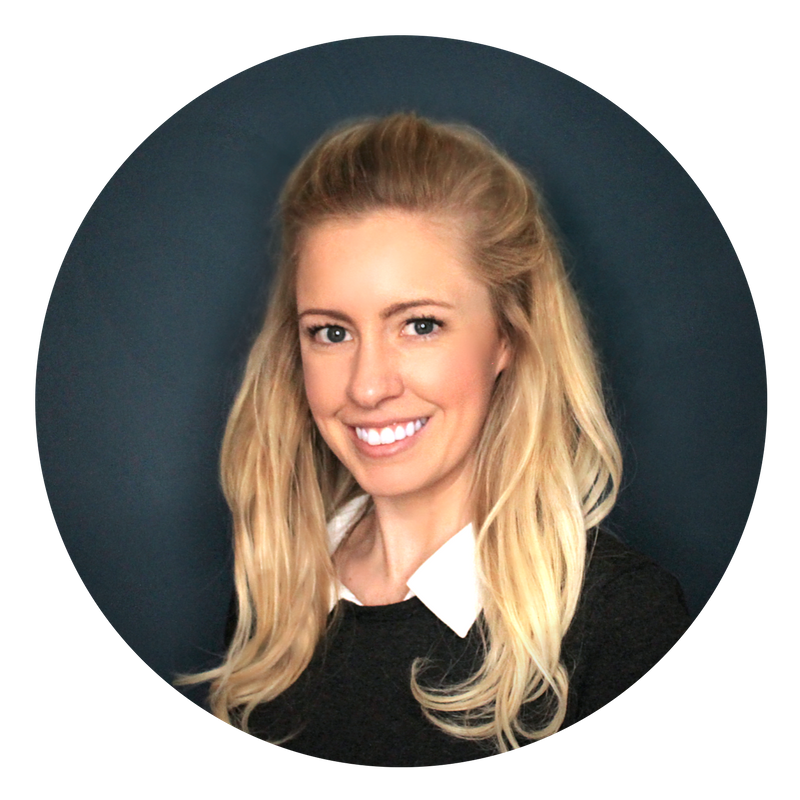 The top three EHR systems for vendor support (all rating a 3.7) are geared toward independent practice: MEDENT, Practice Fusion, and Amazing Charts. The top five are systems for large networks named were VA-CPRS (3.7), Epic (3.6), Cerner (3.1), athenahealth (3.0), and AHLTA (2.9). Lack of interoperability is still a primary barrier for achieving higher quality, increased safety, and lower cost. Nearly two thirds (62%) of physicians found e-prescribing to be most helpful, and 57% indicated being able to locate and review patient information more easily.About half (49%) cited incorporating lab results, allowing for drug/allergy checks, and enabling other physicians to access patient records. In the latter case, other specialists or referrals could also add information, such as lab results. About a third (35%) found providing clinical summaries of visits to patients to be most beneficial. 57% of respondents said that EHRs reduce face-to-face time with patients, and 50% noted a reduction in the number of patients they can see. Only 14% said that EHRs worsen treatment plan management and 18% cited difficulty in the ability to respond to patient issues, which is a marked improvement over the responses in 2014 (26% and 27%, respectively). When asked whether patient ever commented about them using EHRs, less than half (45%) said that patients made comments either occasionally (34%) or frequently (11%), while a similar percentage (42%) said their patients never commented about the EHR. Ninety percent of those younger than 30 reported ease in their EHR use compared with 80% of the two oldest groups. 81% of physicians plan to keep their current EHRs. And although 17% plan on switching, only 5% cited dissatisfaction as their reason. When physicians in independent practices were asked the cost of purchasing and installing their own EHR system, less than a quarter (23%) spent $50,000 or more. Twenty-one percent spent between $10,000 and$49,999. Fifteen percent spent less than $10,000. Even though they owned their own systems, 41% of these respondents still didn’t know the cost. The full survey finding can be found here.